I hope that you have fun plans and are out in the world sharing your ALOHA! We are quite busy right now so we are back on the 7 day a week creation zone over here getting ready to be on the road for the month of October in Japan and Australia. Well The first new this week is that we just put some new wood block prints up on my website. I love these pieces so much because it is so fun to look back into my archives of originals that I have painted over the years and breathe some fresh air into them for a little while. We reprinted a few of my favorites and printed 3 new pieces too! 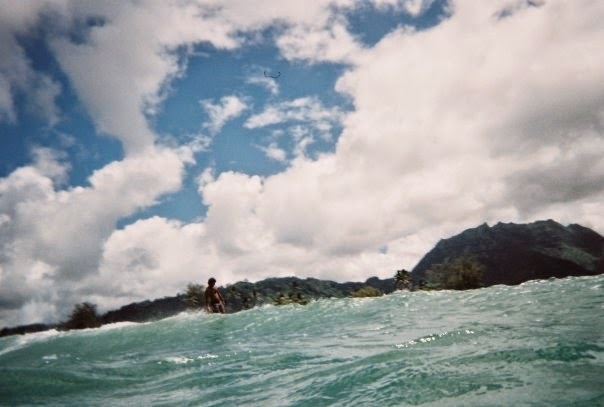 "Kaua'i Surf" was inspired by this picture of The Captain Surfs surfing in Hanalei one spring day. I even found the old photo! You can;t see the waterfall in the photo, but they were all busting that day!! When we were living on Kaua'i we were lucky enough to share a great property with some great friends right on the river. 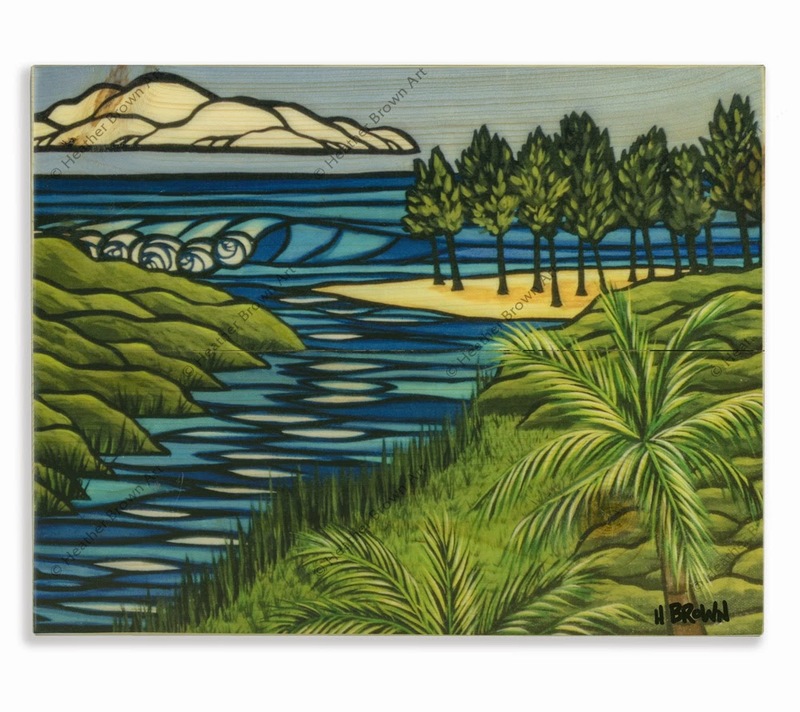 We would canoe up to the river mouth a few times a day for a surf or body surf, a jog or just a nice walk and swim. We were lucky to experience this idilic lifestyle for a while and I painted the original for this piece right on the lanai one day. The original is one of the few that hangs in our private collection to always remind The Captain where his heart lies. We originally printed one of these for pour good friends that lived there with us, but we both loved it so much we printed another few for a limited release. 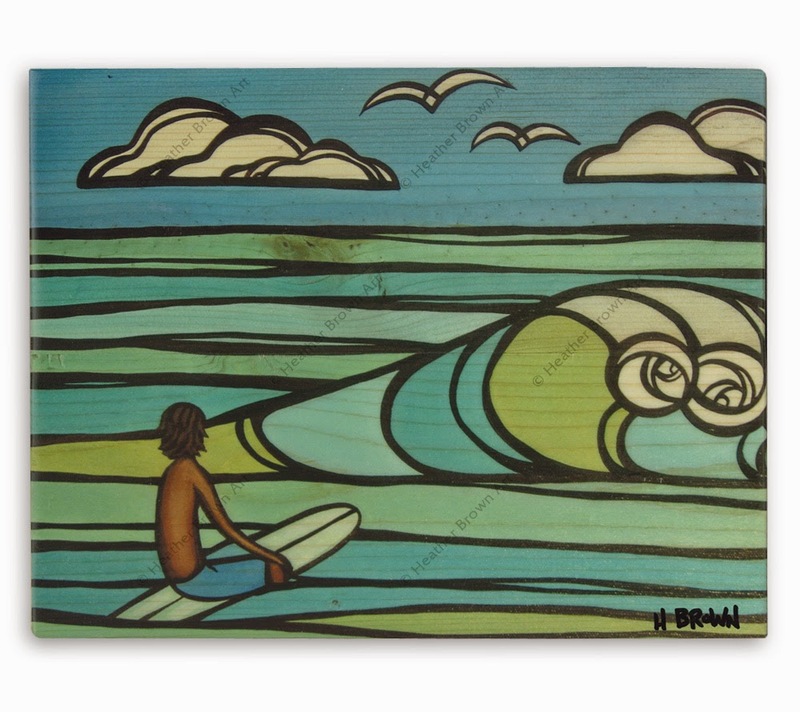 The third new piece is called "Waiting" As funny as it sounds to most surfers, I love the time spent in the water just sitting on my board and waiting for waves (I love it so much that so many times perfect waves roll right underneath me!) This is such a great introspective time for me and it fills my head with imagery that I later usually end up putting to canvas. 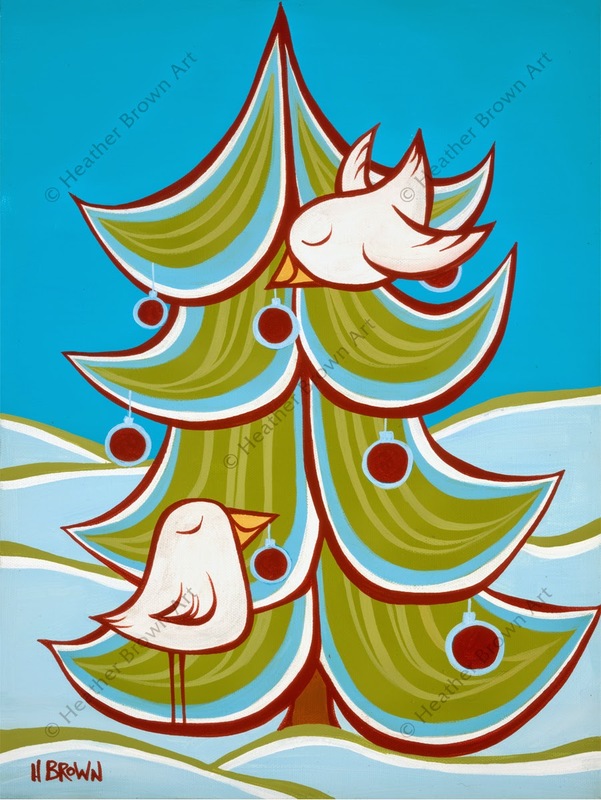 This Christmas Tree original is even available as an original, a matted print or greeting card! 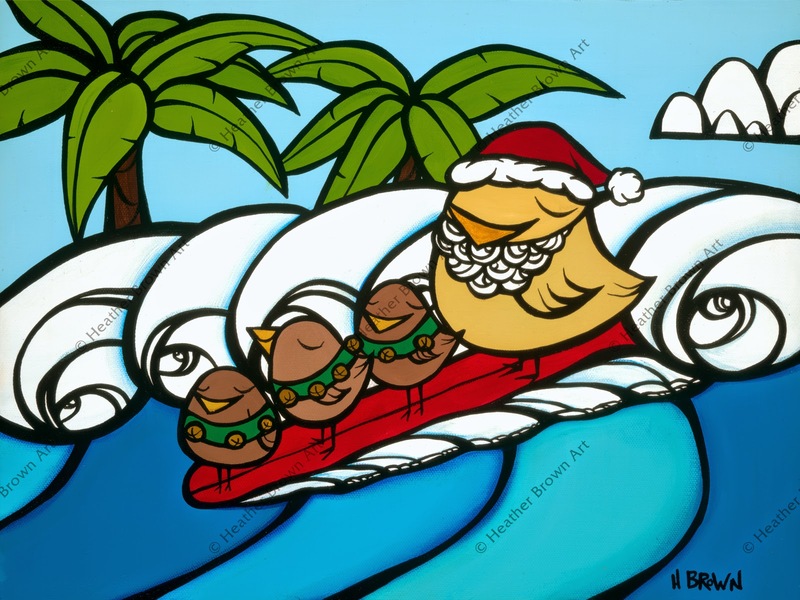 The original "Christmas Surf" has sold, but the image is available as Christmas Cards, and matted prints! 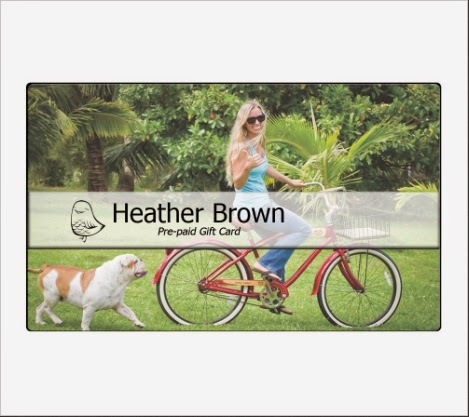 This year we are also really excited to announce that we are now offering Heather Brown Art gift cards from my website!! 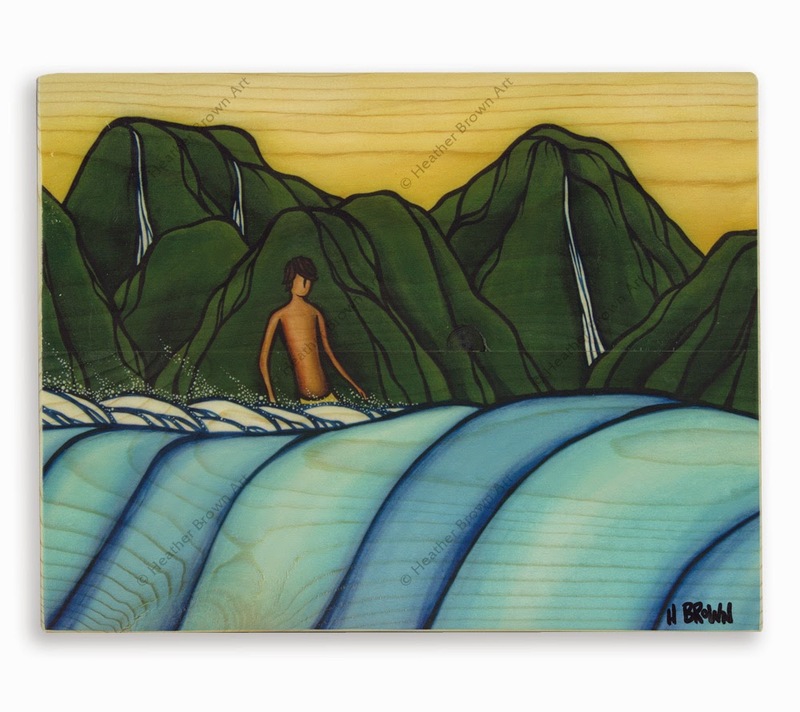 You can get them in multiple denominations and share the gift of ALOHA this year!